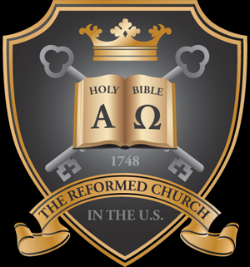 First Reformed Church is a mission work of the Reforumed Church in the United States. We do want to introduct outselves in case you might have some question regarding the doctrines and teachings of the reformed faith. It might help you to know that the Presbyterian Church and the Reformed Church are historically similiar in doctrine and church government. In fact, the Presbyterian Church will often refer to herself as "reformed" in doctrine, and we refer to ourselves as "Presbyterian" in government. A little of the history of the church of the reformation will be helpful here. Along with Martin Luther, such men as John Huss of Bohemia, John Calvin of France, and John Knox of Scotland began the cry of the “Reformation”; Scripture Alone; thus proclaiming salvation through Faith Alone in Christ Alone by Grace Alone, It was at this time in history that God raised up the “Presbyterian Church” in Scotland and the “Reformed Church” on the European mainland. It was also at this time that thebiblicallysoundhistoric creeds ofthe reformation were adopted by the Reformed and Presbyterian Churches. Our own church was called the German Reformed Church in the United States, having its roots in the reformation in Germany. It continues now as the Reformed Church in the United States.” We hold as ourdoctrinalstandards“The Heidelberg Catechism, The Belgic Confession, and The Canons of Dort. We also recognize the Westminster Con-fession of Faith and Catechisms as sound statements of faith. We desire to demonstrate the love of God and the relevance of Christ's message of deliverance to a society that is weary of sin, empty materialism, and shattered relationships. We meet each Lord’s Day to worship our Creator and Redeemer. In worship as God's people we meet to adore him, bring him thanks, ask for his help, and receive the blessing of his presence. Through the preaching of the gospel, God announces his saving acts and calls people to believing and obedient response to his Word.